So, you’re here because want to go nursing abroad. Or maybe you’re still playing with the idea, but on the fence about taking the plunge. Or maybe it’s none of those things and you landed here by accident. Whatever your purpose, this post focuses on the benefits nursing overseas and why you should stop thinking about it as a luxury and start thinking of it as a necessity. Nothing says ‘employability’ like a CV chock full of nursing experience overseas. When a potential employer is reading over an application, the experience implied by your time abroad will jump off the page. They’ll be thinking ‘resourceful, resilient, determined’. In a 2013 study, it was discovered that “[...] graduates who studied abroad as part of their degree are 24 percentage points more likely to find employment 3 years following graduation relative to their non-mobile peers.” (Di Pietro 2013). That’s a statistic worth considering. Read more from John about how nursing abroad helped him kickstart his clinical career by clicking here. 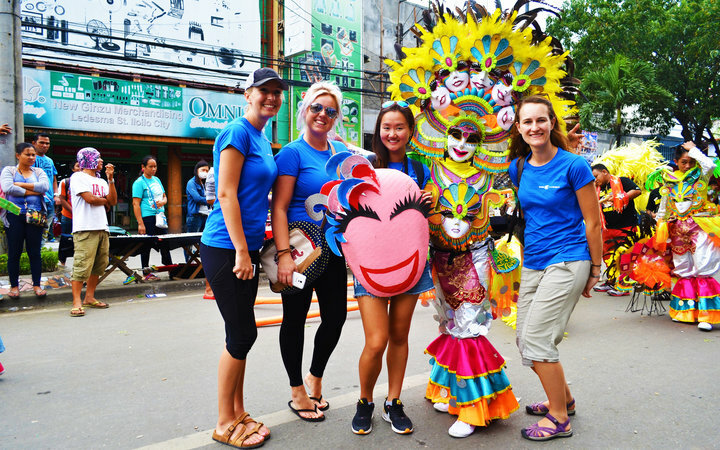 "Working, interning or volunteering abroad are great for the resume and can often provide practical experiences that may not be available at home. 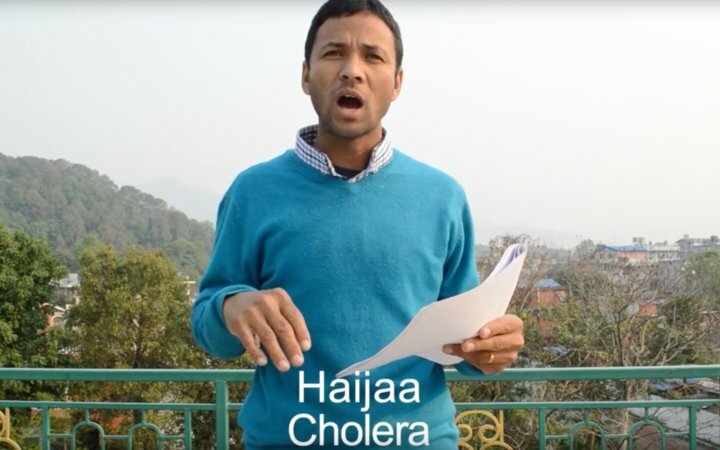 In the field of medicine and health sciences working abroad may offer the traveler public health topics that are not often issues at home, the opportunity to develop intercultural communication skills and dealing with new and unique challenges. Future employers can see that you are flexible, motivated and dedicated to a greater good. 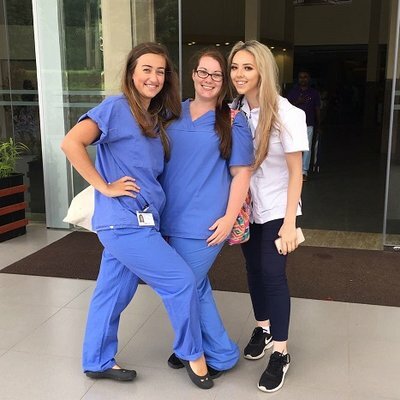 You’re going to meet a whole cast of characters if you’ve got the courage to try nursing abroad – from the people you’ll live with to the staff in the hospitals you’ll work in. Sharing an experience like this with other, similarly minded people from all over the world forms a special kind of bond. The memories you’ll make, and the friendships that created them, will last a lifetime. You’ll make invaluable international contacts, from your nursing counterparts to hospital directors. Read more about Madison’s experience here. Seeing the way other countries provide care will influence the way you view your own practises. You’ll become grateful for what you have back home, and develop a new empathy for cultures that have considerably less resources. When you get to work in the hospitals and embrace your host culture’s values – especially on a clinical level – you’ll begin to evaluate yourself and develop as a result. Read more about what made Arwen’s trip special here. Practicing a second, third, or even fourth language keeps your brain healthy. It’s useful in everyday life, it’s attractive to employers, and let’s be honest – it’s just plain impressive. Making the effort to grasp the language will allow you to engage with patients from the country you’re working in on a much more personal level. It’ll also earn you the respect of local healthcare professionals and enhance your experience. Couple that with the experience you’ll gain in the local healthcare system and you’ll be an unstoppable force [note that we provide weekly language lessons in our houses geared towards preparing you for your clinical experience]. 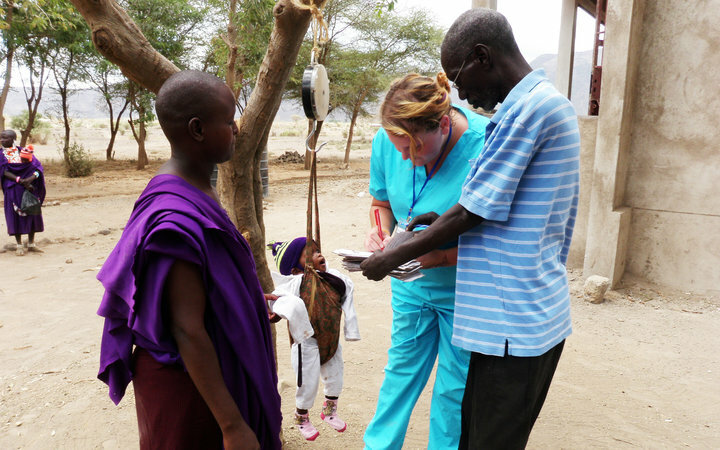 To discover more about Samantha’s experience in Tanzania, click here. 5. JOIN the global community. Staying in a fixed location your entire life is becoming a thing of the past. With international travel cheaper than ever (relatively speaking), the world seems smaller all the time. Country borders are increasingly less relevant, and people are starting to think of themselves as World Citizens. 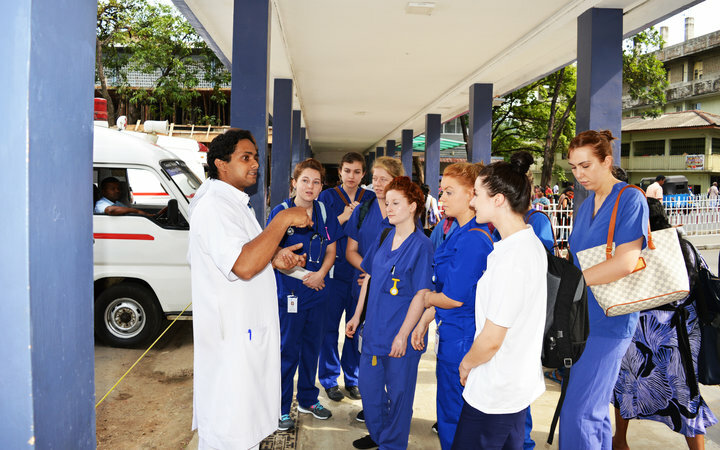 Nursing abroad could be your first step toward joining this emerging global community. Read more details around Alex’s trip to the tropical archipelago of the Philippines here. 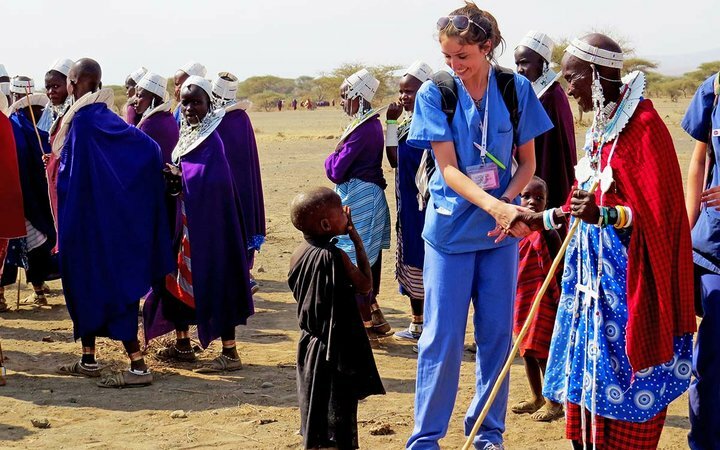 If you choose to go nursing abroad, you’re going to learn. You’re going to learn a lot, and you’re going to learn a lot quickly, which is great. If you’re working in a low resource setting, you’ll pick up resilience from local staff who experience hardship as the norm. Your self confidence will be continually boosted by challenging experiences that come with the territory. You’ll get much better at communicating, as you’ll be working in an environment where the majority of patients won’t speak English. The list goes on. 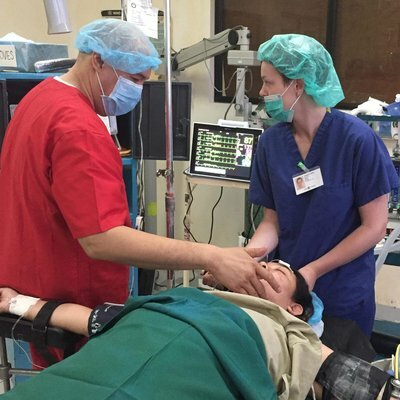 More about Madeline’s nursing abroad experience can be found here. There's no sense in heading to a new country without giving yourself time to explore it. 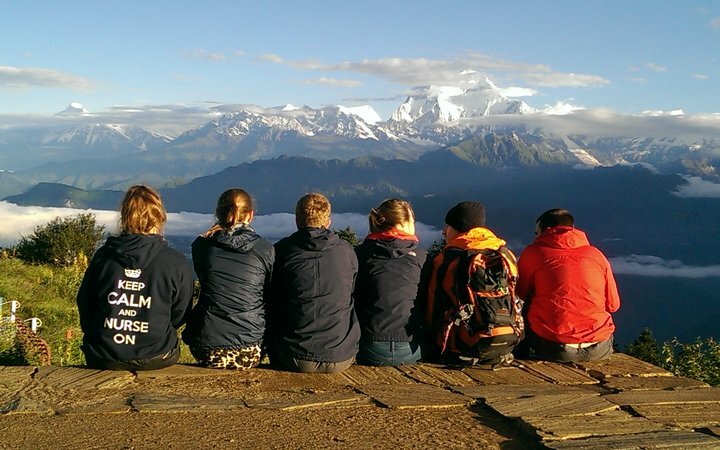 Whether it’s trekking through the Himalayas in Nepal, exploring the Maasai markets in Tanzania, or whitewater rafting through ancient river gorges in Peru, nursing abroad offers endless opportunities for adventure. You’ll find the details of Cecilia’s experience nursing abroad here. One of the most crucial takeaways from a internship abroad is discovering what the title of ‘nurse’ means in a global context. After all, the methods, practises, beliefs, and values of nurses differ depending on where in the world you happen to be. Nursing abroad gives you the rare opportunity to share the skills and knowledge from your country and culture with equally dedicated people abroad. Better still, it works both ways; if you keep an open mind, you’ll pick up techniques that will help better you professionally. If you’re a student the effect is even more powerful; working in a teaching hospital will put you with fellow nursing students. You can talk about the differences in how you’re being taught and what you’re learning until the cows come home. The rest of Ashleigh’s experience is detailed here. 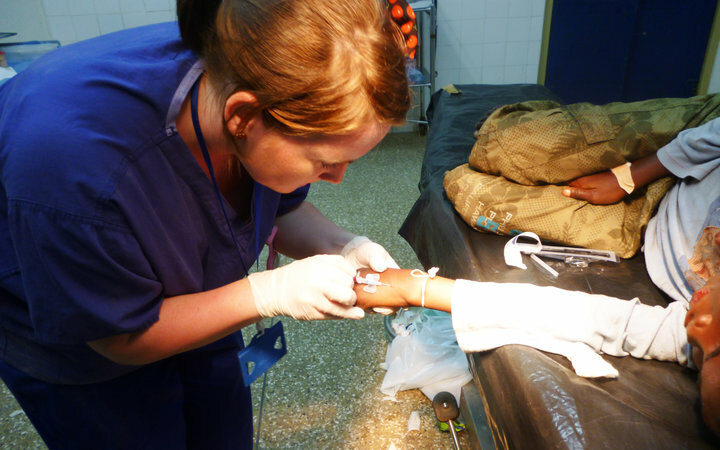 You deserve to seize the opportunity to try nursing overseas. Why not put yourself ahead of the pack and steer your career as a nurse towards something extra special. If you’ve made it this far down the page, you’re ready to take the first step. Click this link to read more about nursing abroad, or call us on +44 (0) 1273 974634 to chat about your options.